In the last post we looked at Highlight #1, V.E. 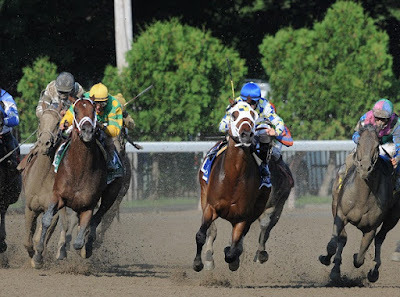 Day, winning the Travers. Last year's Woodward was a rematch between 4 year olds Moreno and Itsmyluckyday. Moreno had scored a few weeks earlier in the Whitney (see Highlight #3 below), but this time Itsmyluckyday was triumphant after a gruelling stretch run. Under rider Paco Lopez, Itsmyluckyday pressed Moreno throughout the race, and was tailed himself variously by Long River, Romanish, and Prayer for Relief. 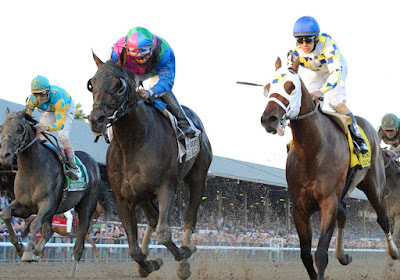 Then, just when it seemed the front runner might pull away, Itsmyluckyday came from 4 lengths behind, drew even, and ultimately won the duel by half a length. 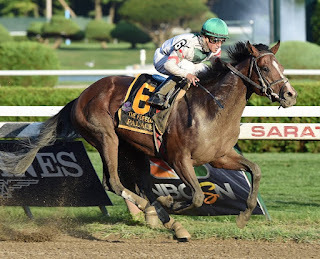 It was a huge victory for trainer Eddie Plesa, Jr. who had not won at Saratoga in eight years, and for his prize colt who had just recently returned after a year out with a pelvic fracture. 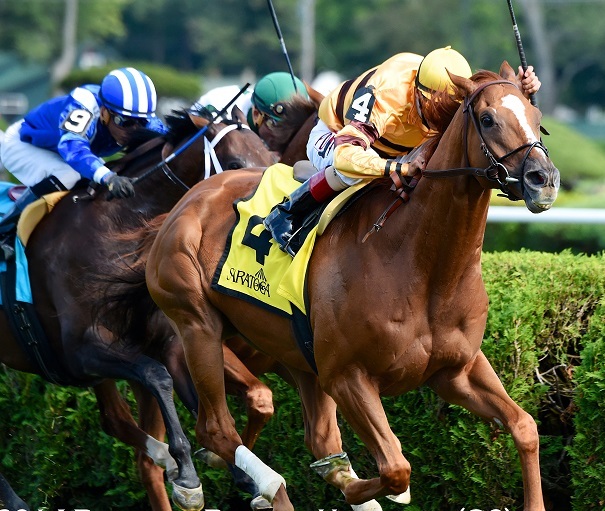 With Junior Alvarado aboard, Moreno proved to be the best of a talent packed field that again included Will Take Charge, as well as Palace Malice, Prayer for Relief, Last Gunfighter, Romansh, Departing and Golden Ticket. On the last weekend of the meet, the 7 year old Champ, two time Horse of the Year Wise Dan, returned to Saratoga again triumphant. In his previous visits, he won the Fourstardave in 2 consecutive years. But this time, it was just a few short months since undergoing colic surgery. Trainer Charlie LoPresti, owner Morton Fink, and rider Johnny Velazquez were all understandably emotional at the extraordinary courage and resiliency of their noble athlete. The fans were too. 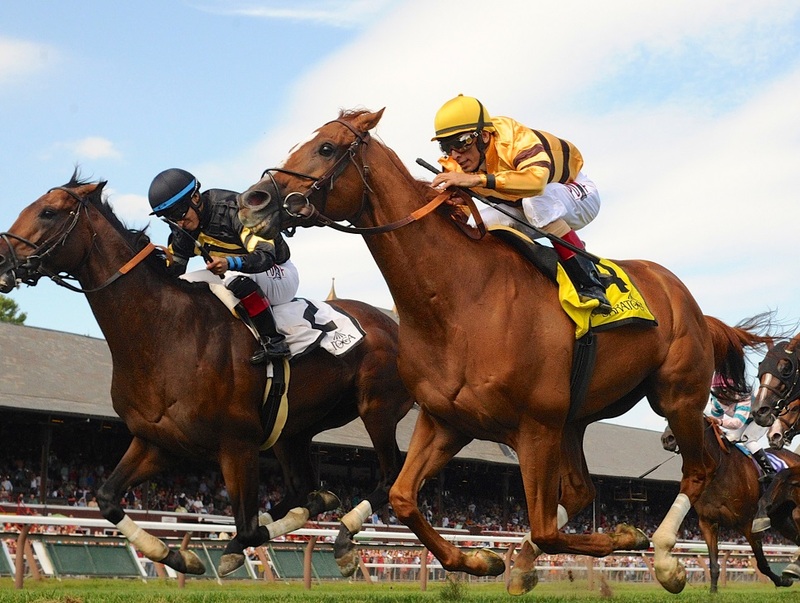 Apprehension filled the crowd when Wise Dan reared in the gate and nearly unseated Johnny V. But they roared with delight when the champ took the lead from Five Iron and Sayaad in the stretch. And the decibels rose even higher when Optimizer put their favorite to the test. 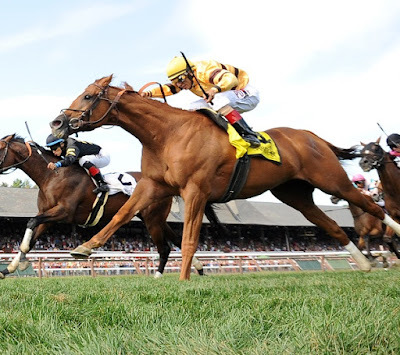 Wise Dan would just not give. He held on to win by a nose. And he did so in just a few short seconds shy of the turf course record for the mile and 1/16 set in 1991. On that same amazing Woodward Day of Labor Day weekend, fans were treated to another triumphant return, This time it was New York bred 5 year old Palace, who had won the Vanderbilt a month earlier in the meet. 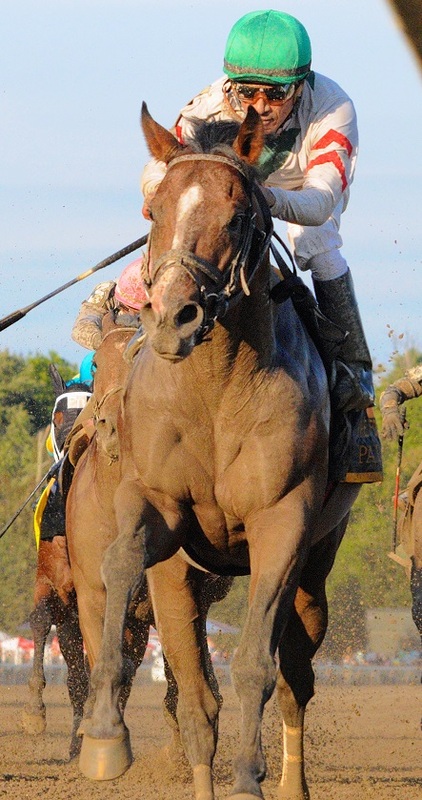 This $20,000 claim by trainer Linda Rice has turned out to be one of the most brilliant adoptions in recent horseracing history. 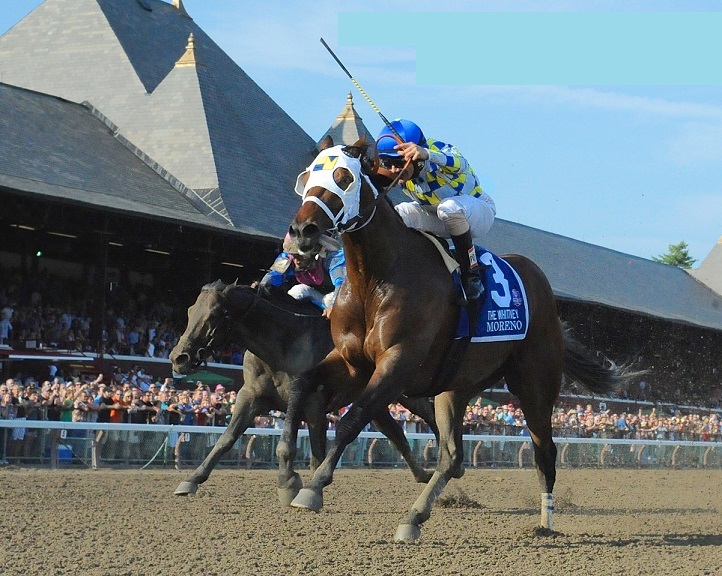 With the Forego, Palace had earned over a million and a quarter since he was claimed. 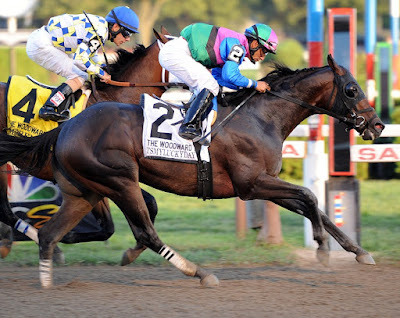 Though he had already proven he was a top quality sprinter in the Grade 1 Vanderbilt, there was some doubt how he would handle the extra 1/8 of a mile in the 7 furlong Forego. At the top of the stretch, he passed Weekend Hideaway and Zee Bros for the lead. But Big Business, Vijack, and Capo Bastone were making their move from the rear. Palace apparently didn't mind the extra distance one bit. The closers couldn't catch him. Not even close. With Cornelio Velasquez at the reigns, he extended his half length lead at the top of the stretch to 3 and 1/2 at the finish line. In the next post, Highlights 6 - 10, and a human!